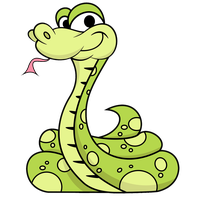 Welcome to Healsthefeels "The SnakePlar" end-game PvE raiding healer guide. I have been getting a lot of questions from newer players to the game, and veteran Healers on my setup in various trials. This guide is designed purely for the most optimal setup in a raid environment, but will be providing some alternatives and solutions to non-optimised groups. Please note, you should not use any builds in this guide without reading the guide first because you need to have an understanding behind the build choices made, the abilities and passives used that provide the most depending on raid scenarios. The guide will give you an explanation and hopefully an understanding on why certain decisions have been made when it comes to sets and abilities used. From experience Argonian seems is the most comfortable race to run in Cloudrest and vHoF, the extra healing and stamina recovery scales well with those trials. If you were to run a 5/1/1 setup, meaning 1 heavy and 1 medium peice, Argonian would have the best numbers as it scales very well with the health gain. However for those of us that do not like to wear a tail Breton is the second best choice. 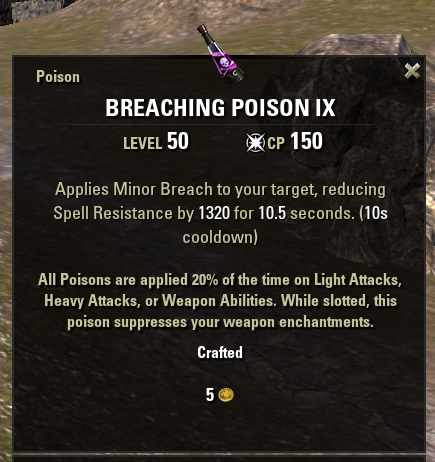 all the pasives scales well with a healer, specially in vAS i found the extra spell resistance can save your life. 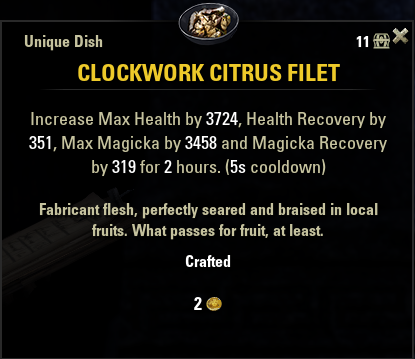 Through all content i recomend using the Clockwork Citrus Filet. 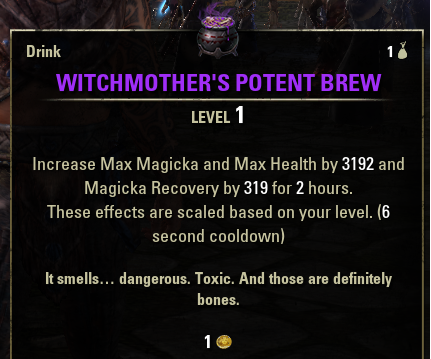 This food has slightly more health and magicka than Wtichmother's Potent Brew. It also brings some extra health regen which in trials does not matter. This is the section that many people use to just straight out copy and paste, please keep in mind CP is very much based on your playstyle. For the red tree, play around with Hardy and Elemental Defender, so that you can be the judge of what works best for you depending on the content you are doing. Please note that I will rarely use these exact CP for everything, and will especially, depending on the trial, reduce Elfborn and Blessed, since stacking CP is never great. The above setup is a good start to work from. 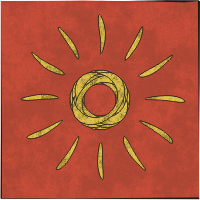 The new Primary source of Major Courage (formerly known as the Spell Power Cure buff) is now from the Olorime set, this set works a lot different from SPC, before we had to do over healing, and healing was very much focused on healing over time (HOTS). in today's meta we just want to group at 100% as much as possible as Olorime works as an entirely new buff, this set should only be used on one healer since it can proc on 12 people, it works very well combined with any of the later mentioned interchangeable sets, but it is the strongest Jorvuld’s Guidance since it raises the uptimes significantly. The way this set works is with casting ground based abilities, this means that you can proc it with your backbar, this will allow the use of the Asylum or Master Staff front bar. on static boses i recommend you proc it with you ritual ability, if you chose to do this, use the Ritual of Retribution morph to keep it up, the reason being that the cool down of ritual Retribution is a lot lower, almost the same as Olorime. This way the timing of Olorime is a lot easier. Here is a screenshot of how it looks. This set is great if you have 4 or more magicka DDs, If you have less than 4 magicka DDs in the trial, the benefit from this set is minimal and should not be used since it will be a waste. 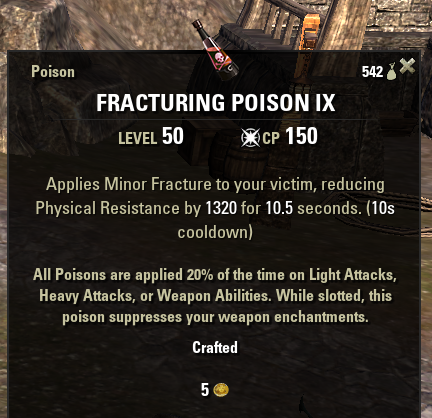 It can be found in Vaults of Madness on normal and veteran, it’s great for every trial, the main thing that depends on the usage of this set is how many magicka players there are in your group. This is one of those sets that seems extremely good on paper as you get an extra few seconds on Major Force, it makes it easier holding up Minor Berserk from Combat Prayer (if used on front bar). In addition, the 2, 3 and 4 piece bonuses look great and ideal for a healer. This is without a doubt an amazing set. It is however important to understand that what makes Major Force great is the timing of when and how your DDs take advantage of said buff. 40% extra uptime is not going to get you 40% extra damage from it. The reason for this is because Major Force excels in high burst damage situations, and these situations happen on the burst of a boss fight or when DDs have ultimate’s ready. If you aim on having as much Major Force uptime as possible, you will be losing out on other quality sets which may be counter-productive to your group DPS. Where this set is great is in a Nightblade meta due to the nature of their ultimate rotation, rather than holding on to a burst ultimate in order to time with Major Force like Ballista, the Nightblade base ultimate Death Stroke (Incapacitating Strike and Soult Harvest morph) procs roughly every second rotation. 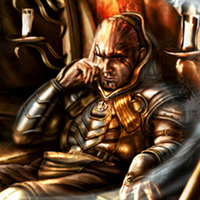 are more frequent and often they are not combined with Major force procs, Though Major Slayer uptime and procs will be great on Nightblades, without Jorvuld’s Guidance there may be an odd scenario whereby the Major Slayer isn’t used with Major Force. With Jorvuld’s it will almost be impossible for Nightblades to miss Major Force and Major Slayer active at the same time. This set can be found in Scalecaller peak. This set is one of two very defensive sets to be used as a healer. This set is great for training trials and for newer healers as it allows them to get away with mistakes while learning to become a healer. Mending offers a lot of reduced damage to the group, and especially the tank. For mob packs this set is even more powerful. As you progress through endgame, you will see this set used less and less, this is because your DDs and Tanks are expected to stay alive without this set and more damage support focused sets like Jorvulds Guidance and IA will be used in its place. Though on hard boss fights such as vMoL HM and vHoF HM, many groups still prefer this set. This set can be found in: Aetherian Archive. This is the second of the two defensive sets. Like Mending, Sanctuary is great for training trials. Sanctuary offers increased healing to the group. This is very powerful since it not only buffs your own healing done as a healer, but all sources of healing. I or the second healer use this set on first boss of veteran Halls of Fabrication. 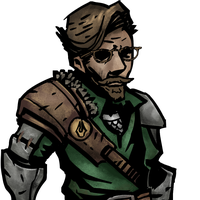 The fight provides one of the most damage intense fights in the game, though the damage source is from the spheres and can therefore not be reduced by Mending. Other fights where this set is popular is Halls of Fabrication Hard Mode, veteran Maw of Lorkhaj Hard Mode and Cloudrest any combination. This set can be found in Banished Cells 1 and 2. With Lightning enchants rarely being used, the uptimes on minor minor vulnerability has decreased, this status effect is extremely important for the dps, as it is a flat 8% dps increase. 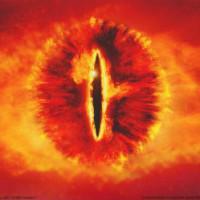 It is extremely easy as a healer to see when your group needs it, you simply check the uptime of minor vulnerability. if it is lower than 90% i would recommend using it. It is easy to proc and keep up as you simply use a medium attack with your staff before swapping bars, i recommend double barring this set as it makes the rotation a lot smoother. The poisons that i am mentioning are Breaching and Fracturing Poisons. 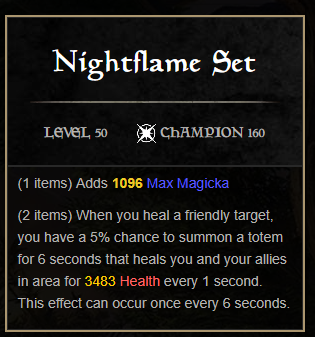 These give acces to minor spell reduction with a high uptime even only used on one healer, they are a great choice if you do not have acces to other sources of this debuff. or just to help push it up. 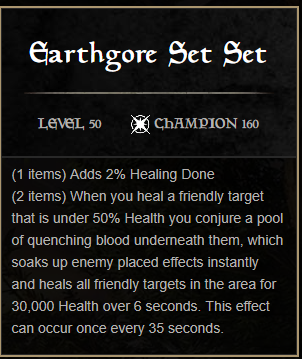 A lot of healers still use the weapon damage enchant, this enchant is very powerfull, but does not provide any buffs to the DD's, and therefore i choose not to use it often, and go for the poisons instead. This staff is only available with your second set back bar, this basically meaning that only a jorvulds or Olorime setup. This staff is not great if you don’t work your play style around the buff, what I love about this staff is that it allows the use of Illustrious Healing, a very powerful morph of grand healing. It allows you to never have to use heavy attacks. While it is possible to sustain good uptimes without this staff, with this staff you don’t have to make choices between using that extra Breath of Life or using an extra hit of Combat Prayer due to resource management, you are provided more freedom with this choice. Another benefit with the Asylum staff is the ease in which you can get your hands on it. The non Perfected staff drops in normal Asylum. You can farm it in less than an hour. The non-perfected staff is more than good enough till you one day get your hands on a perfected version. This patch with many setups you cannot use this staff. But Jorvulds and Olorime can be used only on back bar meaning you can still use this staff. Try if posible to not stack 2 double barring sets one healer if it can be avoided, i will go into details on how to do this later. This weapon trait provides faster Warhorn regeneration and more Warhorn availability. This is a super aggressive choice of trait that ultimately is there to boost the DPS of your DDs. I often switch trait choice when healing groups other than my core team. This is because lesser organised and optimised groups take more unnecessary damage and the healing in these types of groups needs to be more consistently available and potent. For punishing execute phases, such as vHoF last boss, Precise trait is the best option since Crit heals in these types of scenarios can provide the difference in your groups survivability. This has become weaker with the nerf to crit healing, and you will often find Powered out performs it. Powered trait is extremely powerful and should be used for high incoming damage fights such as first boss vHoF. 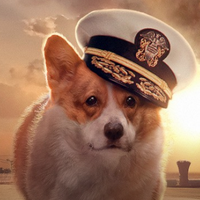 Infused trait is to be used if Crusher and/or Weakening uptime are lacking behind. Up times of these enchants depend entirely on different bosses but a generic target to aim for is anything above 50% is decent-ish. In optimised end-game raiding groups, depending on the boss, Crusher should be above 90% and Weakening should be above 70%If uptimes are below 50% on these two enchants, Infused should be used as a healer. But, do not override this trait choice in important boss fights where trait choice matters, such as execute phase of vHOF last boss where you should use Precise, per the example above. I wouldn’t recommend running other traits on front bar other than the ones mentioned above. Charged - for higher off balance. 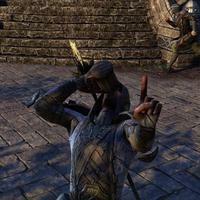 Healing in ESO is the easiest out of all roles. You don’t have fixed rotations, you have access to tons of survivability. Still a lot of healers have a hard time keeping the group alive, and surviving. This section aims at providing some insights into fixing some common issues that can be avoided and provide success to healer roles. 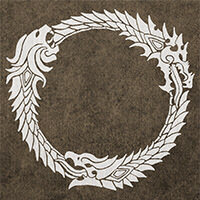 In ESO you have access to more healing than what is needed,. The healers main job in group should be keeping uptimes up as high as possible. As a healer it’s really important to know and anticipate when damage is coming in before it happens, and have all your HOTs (Healing Over Time) up, otherwise you will find yourself spamming Breath of Life, panicking and or getting into unnecessary bad situations. As a healer the understanding of positioning is key to your success. Take the Minor Berserk buff given from Combat Prayer, this ability only procs on 6 people that the cone hits, this means that you should have seperate groups so the same person doesn’t get Minor Berserk twice resulting in another DD missing out on the buff because of bad group positioning. You want to hit 90-100% uptimes of Minor Berserk on your DDs. As a general rule I want to be in a position where I can quickly cast Combat Prayer twice on 2 groups of damage dealers, and this results in high Minor Berserk uptimes on your DDs. Not to mention that Combat Prayer is always really good for burst heals. If you have one big stack there’s no guarantee that 6 new people will get the proc for each cast of Combat Prayer as the same buff (Minor Berserk) can be applied to the same damage dealer before the buff runs out. This means that if you do two Combat Prayer casts, some damage dealers in your group will be missing out on the buff because that buff will be given to someone who already has the buff active. One way of resolving this issue is to try and talk with your damage dealers or raid leader about positioning of group so that the group is split evenly to ensure that everyone gets optimal uptimes. Another way is to monitor the uptimes in your raid group and discuss what can be done to increase said uptimes. If you want to be an end-game raider and be competitive then such discussions need to occur, all it takes is one conversation to improve how your group performs. As a healer, I always want to know how I do with uptimes, similar to how DDs use Combat Metrics as a metric to track how well they did with DPS and how well they were buffed. 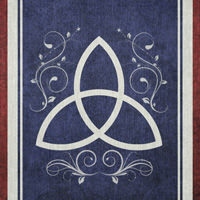 For trials I recommend having an addon like AlphaGear: http://www.esoui.com/downloads/info1534-AlphaGearLives.html. This is the best way to never forget a bar setup and switch builds in between bosses. healsthefeels hasn't shared anything about themselves. Really awesome build guide @healsthefeels, everything was clear and well explained. Thanks so much for sharing! Absolutely one of the best healing guides I've ever read, accessible to healers of every level and something for everyone to learn. Thank you so much for your hard work here! This last paragraph is very, very good. This is exactly the type of thinking you need to apply as a healer in ESO. Very nice guide ! Fantastic article, thank you so much for the information, I am completely new to ESO and playing a pure healer role. I am role playing as a priest, so trying to maintain some restraint and stick to pure healing focus. Most pertinent point for me was the part about panicking "Breath of Life", instead of premptively casting "HOTS". I totally do that, and will make the adjustment now. Also, I went down the path of Blessing of Restoration, silly move I know, really it's not even equal to Combat Prayer, should do more healing and stack more Spell and Physical protection. So will respec to get that juicy 8% minor berserk. Thank you again for the amazing advice.